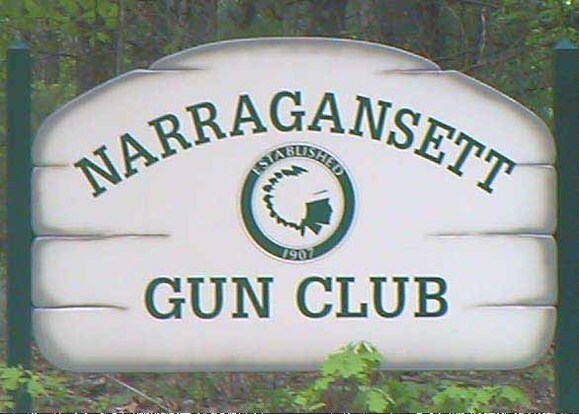 The name of this organization shall be the Narragansett Gun Club. The object of this organization shall be the promotion of firearms safety, the shooting sports and the conservation of fish, game and environment. Objectives shall also be to further the development of those characteristics of honesty, good fellowship, self-discipline, team play and self-reliance, which are the essentials of good sportsmanship. This organization shall be non-political, non-sectarian and non-profit making. The membership of this organization shall consist of such true sportspersons as may care to associate themselves together in support of the stated objectives. Membership will be open in categories as herein described. No person shall be denied membership because of his or her race or color, religion, sexual orientation, gender identity, handicap, age (except as herein provided for Junior Members age 12 years through 17 years), or country of ancestral origin. Junior membership shall be open to those individuals between the ages of twelve through seventeen or older if enrolled as a full-time student at a high school, college or university. Each applicant for Regular Membership shall be sponsored, in writing, by a Regular Member in good standing. Applications shall be submitted with a current BCI report to the Executive Committee for screening and a majority approval vote prior to presentation to the membership. A majority vote by the membership in attendance will be required for final approval. 2. Family - Husband, wife children under age 18 and/or child 18 years or older enrolled as a full time student at a high school, college or university. Any active Regular Member accepted for membership prior to October 1, 1998 in good standing for five (5) years immediately prior to reaching age sixty-five (65); or regular active member accepted for membership October 1, 1998 thru March 31, 2007, in good standing for fifteen (15) years immediately prior to reaching age sixty-five (65); or any regular active member, accepted for membership after April 1, 2007 in good standing for twenty-five (25) years immediately prior to reaching age seventy (70), shall be eligible for Life Membership upon application to the Executive Committee. Life Members shall retain their active and voting status, but are exempt from annual dues and/or assessments. Junior Members are welcome at all activities of the club and at all meetings; however, they will NOT be extended the privilege of voting or holding office. An initiation fee, as may be set by the Executive Committee, for Regular Membership and current annual dues shall accompany the membership application. Permission may be given by the Executive Committee to allow the initiation fee to be paid in two (2) equal installments during the member's first year of Regular Membership. Annual Dues shall be due and payable prior to April 1st of each year. Any member in arrears on April 1st will forfeit their membership, unless temporarily waived upon recommendation of the Treasurer, by the Executive Committee. Upon reapplication and payment of dues by such applicant, subject to any conditions, and at the discretion of the Executive Committee, applicant shall be reinstated as a Member in good standing. Annual Dues will be based on a budget of operating expenses, as approved by the Executive Committee, for the coming year and an additional twenty-five (25%) percent of approved operating expenses for maintenance, repairs, and capital improvement; said percentage so collected to be segregated by the Treasurer in a separate account designated as “Capital Improvement Account” and disbursed only by direction of the Executive Committee and only for capital improvements or the repair and maintenance thereof. An estimate of operating expenses for the coming year shall be prepared by the Treasurer in December of each year and approved by the Executive Committee prior to the Regular Monthly Meeting in January. Annual Dues for Junior members may be waived by the Executive Committee. Regular Monthly Meetings: The membership of the Club shall meet each month on the last Thursday of that month at 7:30 P.M. The place of meeting shall be the official clubhouse on Austin Farm Road or such other place as may be noticed by all Members. Special Meetings: A Special Meeting may be called by the President, the Executive Committee OR upon demand, in writing and signed by not less than 20% of the Members entitled to vote. Notice of the meeting will be promulgated to all Members in good standing. Meetings shall be conducted under Roberts Rule of Order as interpreted by Luther S. Cushing and set forth in Modern Rules of Order (Fawsett M571). Call to order by presiding officer. Roll call by show of hands of regular members and introduction of new members. Discussion for the good of the Club. Parliamentary procedure shall be the rule for recognition by the chair and for motions and nominations from the floor. A majority of members in attendance and entitled to vote shall be necessary for passing of motions from the floor. Election of Club officers will be held at the Annual Meeting­ to be scheduled during the month of April. At the Regular January Meeting the President shall appoint a three person (other than club officers) committee, who will submit nominations for elective office at the Annual Meeting. Additional nominations may be made from the floor. Nominations shall be from Members in the manner provided for under parliamentary procedures. Regular Members in good standing, nominated with their consent and elected, shall be installed at the next Regular Meeting. Elections shall be either by open or secret ballot as may be adopted by Members in attendance. The presiding officer (his own nomination not withstanding) shall vote ONLY in the event of a tie. The officers of this Club shall consist of a President, two (2) Vice-Presidents, two (2) Secretaries, a Treasurer, a Steward and three (3) Directors. Elected officers shall hold office for one year or until such time as a successor shall be elected. No member shall be eligible for nomination, election, appointment or to serve as an officer until having been a member in good standing for a period of two (2) consecutive years prior to nomination, election or appointment; and no member shall hold the office of President for more than two (2) consecutive years. Any officer, elected or appointed, may resign at any time upon written notice to the President, or in the case of the President, to the Executive Committee. ​President: The President shall preside at the meetings of the Club and of the Executive Committee. He shall be a member ex-officio of all standing and special committees and shall perform such other duties as usually pertains to his office. First Vice-President: The First Vice-President shall perform the duties of the President in his/her absence and such other duties as the President may request. Second Vice-President: Same as (Par. 2) in the absence of the First Vice-President. Secretaries: The Corresponding Secretary shall conduct all official correspondence pertaining to the Club. The Recording secretary shall keep a true record of all records of the Executive Committee and of the Club, and shall have custody of the books of the Club, excepting the financial records. All applications for membership shall be directed to the Membership Chairman or Recording Secretary for presentation to the Executive Committee. Treasurer: The Treasurer shall conduct all financial business of the Club and shall have custody of the financial records, of all funds of the Club, be responsible for collection of all revenue and dues and shall deposit these funds in such banks as may be approved by the Executive committee. Club funds shall be withdrawn only by check signed by the Treasurer or the President, for payment of such bills as may be approved by the Executive Committee. The Treasurer shall render a financial report at the Regular Meeting each month and shall deliver to the Executive Committee all financial records when so directed by the Executive Committee. Steward: The Steward will have charge of the club grounds, buildings and related equipment used in the maintenance, repair and service of the properties and serve as Chairman of the Standing House Committee. Directors: The Directors may examine the books of the Secretary and the Treasurer at any time they deem appropriate and govern the finances of the Club as may be authorized by majority vote of the Executive Committee. All Club members, including Junior Members, by virtue of affiliation, shall be eligible for appointment by the Executive Committee to serve on various committees. Executive Committee: The elected officers of this Club, immediate past President and three (3) Directors shall, acting together, constitute the Executive Committee. The Directors, acting together, shall constitute a separate controlling body as regards the financial records of the Treasurer and if the Directors deem appropriate, by majority vote, to protect the financial interest of the membership, request authority from the Committee to manage the finances of the Club and assume the Treasurer's duties until appointment or election of a successor Treasurer. The Committee shall have overall supervision and control of all activities of the Club and shall screen for acceptance all Membership Applications. Meetings of the Executive Committee shall be held at such time and place as the President may determine. Special Meetings of the Committee may be called at any time on demand, in writing to the Secretary by any officer or by the Chairman of any committee. Five (5) members of the Executive Committee shall constitute a quorum. A vacancy in the any office may be filled by appointment by a majority vote of the remaining members of the Executive Committee. Officers elected after this fashion shall serve until the next Annual Meeting, when a general election will offer all offices for election. Audit: The Executive Committee may direct an audit at any time deemed appropriate, and authorize the Directors, or appoint an Audit Committee, to conduct an audit of the Club finances. Any officer may be removed from office by a two-thirds vote of the Regular Members in good standing at any Special Meeting called for that purpose. No vote on suspension or expulsion may be taken unless at least fifteen (15) days notice in writing shall have been given to the officer of the reason for this expulsion and the time and place at which Special Meeting, the Officer will be given a full hearing. Any Member may be suspended or expelled from the Club for any cause deemed sufficient by the Executive Committee by a quorum affirmative vote of that committee, present at any Regular or Special Meeting. No vote or suspension or expulsion may be taken unless at least fifteen (15) days’ notice in writing shall have been given to the member of the charges preferred and the time and place of the meeting of the Executive Committee at which such charges will be considered. At such meeting, the member under charge will be afforded a full hearing. Charges against any Officer or Member may be proferred by any Regular Member in good standing. The Officer or Member shall be notified in writing clearly stating the facts pertinent to the charges and by all affidavits or exhibits which are to be used in support of the charges. Such charges shall be filed with the Secretary, who will immediately notify the President. The President shall call a meeting of the Executive Committee to hear the charges. The Secretary will give at least fifteen (15) days’ notice to the accuser and the accused, which notices shall be in writing and will include a true copy of the charges and of the supporting affidavits and exhibits. Any member suspended or expelled by the Executive Committee may appeal to the full membership of the Club. Such appeal shall be made in writing to the Secretary who will notify the President. The President will call a Special Meeting of the full membership of the Club for the purpose of acting on the appeal. The Secretary shall give at least fifteen (15) days’ notice in writing to all members of the Club in good standing stating the date, time and place for the Special Meeting. At the meeting of the full membership the Secretary shall read and/or display the charges and accompanying exhibits and will read the minutes of the Special Meeting of the Executive Committee at which the charges were heard and action taken. A full hearing will be given the accuser and the accused. A vote will be taken by ballot of the voting members in good standing present and a two-thirds majority will be required to reverse the action of the Executive Committee. The Club shall affiliate annually with such state and national organizations as deemed appropriate and/or necessary by the Executive Committee. Proposed amendments to these by-laws may be introduced by any voting member of the Club in good standing at any meeting. They must be acted upon by the Club membership at a meeting called for that purpose. A two-thirds majority of the voting members present will be necessary for passage and acceptance. Each Committee may establish its own rules, but no rule may conflict in any way with the by-laws of the Club. All members shall be required to abide by the by-laws and rules that have been adopted by the Club. The Executive Committee may cause assessment of the membership with the consent of the Directors and a majority of the voting members present at a meeting called for that purpose. By affirmative vote of two-thirds of voting members present at a special meeting called for the sole purpose of dissolution, the Executive Committee shall proceed to dissolve the Club. No special meeting to consider dissolution shall be convened unless the Secretary shall mail, by certified mail, return receipt requested, postage prepaid, written notice of the date, time, place and purpose of such meeting to each regular and life member, at least thirty (30) days prior to the date of such meeting. The Secretary shall certify under oath, in writing, in the Club records, compliance with this notice requirement. Upon dissolution, all assets of the Club, including but not limited to cash on hand or deposit, investments, property real and personal, shall be conveyed to the State of Rhode Island, Department of Environmental Management for open space and land conservation in accordance with such applicable laws and administrative rules and regulations as may then be in force and effect.